LeCroy (www.lecroy.com) is pleased to announce the release of WaveMaster 8 Zi-A that combines a sample rate of 120GS/s and highest bandwidth of 45GHz with superior signal performance and 20GHz on all four input channels. The models are available from 4GHz to 45GHz with complete bandwidth upgradability across the range. Maximizing speed in all aspects, the X-Stream II architecture provides for full analysis on maximum record lengths using the company’s flexible and deep analysis toolbox. LeCroy has once again broken bandwidth barriers after utilizing proven and widely adopted SiGe processes, sixth generation Digital Bandwidth Interleave (DBI) technology, and custom 2nd generation ASIC designs to achieve extraordinary real-time oscilloscope performance of 45GHz, 120GS/s and 768 Mpts/Ch Analysis Memory. Four-channel performance at 20GHz is perfect with exceptional rise time, overshoot, random and total jitter noise floor, and electrical noise performance. The company has discovered a way to make long acquisition memory pain free and seamless to use. The proprietary X-Stream II architecture of the WaveMaster 8 Zi-A Series supports zooming, capturing, analyzing and measuring multiple waveforms at up to 768Mpts deep. WaveMaster 8 Zi-A’s proprietary architecture design is further improved with Intel Core 2 Quad processor (12GHz effective clock rate), Windows 7 64-bit OS, 8 GB of RAM and high-speed serial data buses. 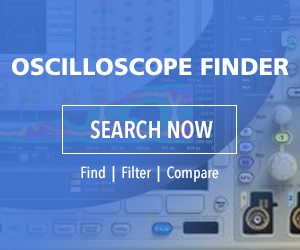 High bandwidth differential probes of up to 25GHz, single-ended active probes, high-voltage, mixed signals, and current probes all connect to the WaveMaster 8 Zi-A oscilloscope, giving the operator a total system view. Every WaveMaster 8 Zi-A oscilloscope contains selectable 50Ohm and 1MOhm input capability and all can be used with any LeCroy probe (passive/active) without requiring power supplies or external adapters.